Compact, light weight wireless handheld Refract Keratometer with just 999g (equipped with battery) and the center of gravity is design in the grip handle make it even much comfortable to hold. 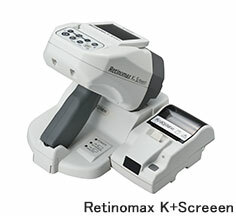 High performance Keratometer function - best use during operation or typical objective eye examination. High speed Keratometer measurement - only takes 0.34sec. Parallel Sensor that detects inclination of main body and display value.